Head injuries, including concussions and traumatic brain injury (TBI) can have lingering effects long after an initial impact. According to a new UK study, individuals who have been hospitalized for a mild head injury have nearly double the risk of dying within the next 15 years. This indicates that an injury can have an even more serious and deadly impact that first believed. The research, as published in The Guardian, indicates that individuals who suffered even a mild head injury were at a significantly higher risk of death than those with no history of head injury. There may be a number of contributing factors to the results and researchers are not clear about exactly what links head injury to the increased risk of death. It is possible that the lingering impact of a head injury creates additional risk, rather than simply lifestyle before or after an injury. Our Boston personal injury attorneys are dedicated to helping clients protect their rights and recover maximum compensation after an injury. With significant experience handling complex brain injury cases, we understand the importance of a thorough review and medico-legal analysis in every case. We also are committed to staying abreast of research and trends in this complex and evolving medical field. According to the research, some evidence points to lifestyle and health factors that may have contributed to the initial head injury. While there were high rates of death in the year following a head injury, doctors and researchers have not concluded why the risk of death persists, even in the long-term. Researchers were interested in studying not just the initial risk of head injury, but the long-term consequences and associated risks. An initial study of disability after mild head injury led them uncover a high rate of deaths. 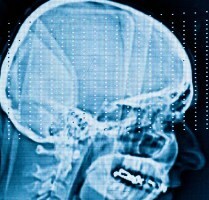 Analyzing this data, scientists determined that the head injuries were extremely common and 95 percent of these injuries are labeled “mild.” The researchers tracked medical records of 2,428 adults admitted to hospitals with what was considered mild head trauma between February 1995 and 1996. They then compared records to individuals in a similar age and health bracket with those who were admitted to the hospital without a head injury. Then the researchers followed both groups over the course of 15 years to determine the rates of injury or death. According to the findings, individuals who suffered from head injuries died at a rate of 2.42 per year compared to 1.34 percent per year for those who did not suffer a head injury. The results were more severe among younger patients who suffered a head injury when under the age of 55. These patients were four times more likely to die than their counterparts who did not suffer a head injury. Researchers stated that having a head injury itself is a risk factor for having another head injury. Those who have repeat head injuries have an additional risk of early death. The results of this study underscore the reality that a head injury may have lasting implications and create additional risks of injury for a patient. In the event of an accident or injury, you should have your case reviewed by an experienced advocate to ensure you are fully compensated for your immediate and long-term losses.